The solar Eclipse is a New Moon in Pisces this month, with Sun and Moon at 18 PI 55 and the South Lunar Node at 21 Pi 47. Eclipses are always a new or full moon, and conjunct the North or South Lunar Nodes. Think of it as a supercharged new moon. Now, what do we ‘do’ with this bit of astronomical and astrological heads-up? We align with the energy, leveraging it to gain the maximum momentum, rocketing us towards our next big adventure. Pisces is the sign that says, let go, muse, create, care, connect, trust, merge, and explore the Field of infinite possibilities. By honoring this energy as you launch the business, raise the stakes, commit to the relationship, say yes to the degree, course, trip, blog, book, date or action, the opportunities for success magnify. Pisces also says, use your imagination. What do you want your life to look like? See it now for the best results. As Jeannette Maw tells us, what we focus on, we get more of. This eclipse is also super absorbent. You’ll be more likely to take on the energy of those around you. If you aren’t big on boundaries at the moment, watch where you put yourself! A beautiful sanctuary is ideal, in mind, body or spirit. Remember, eclipses can be activated 30 days before or 30 days after the event, plus or minus 3 days. Circle the calendar. For astro students, the most enlightening place to look in your chart is the HOUSE that the eclipse is in. Turn your attention to that area of life, release resistance, and pre-pave your heart’s desires. Below are sign by sign tips on where this is happening in your solar chart. Intentions set on the eclipse have super powers. Use them! ARIES: The eclipse focus is on the inner world of dreams. Initiate projects that hold true value to you, not just passing fancies, commerce or survival linked. Chiron is activated, meaning you have your own, personal cheering section, encouraging you to move forward. Pick a direction. You’ll know soon enough if it isn’t the right-for-you path. TAURUS: Whatever you’ve been brewing in the realm of friends, groups and new associations, move forward after the eclipse with quiet confidence. Your connections are ready to support and nurture you from all sides. If your goal is true, the project will sing, given enough time. No rush. GEMINI: What is it with you and your career? It’s set to expand in ways you hadn’t dreamed possible. Now! This month. No kidding! This is your chance to be seen in the public eye for the creative genius you are. If trepidation comes up, ie any feelings of unworthiness at the 11th hour, relax. Deep breaths. Above all else, don’t be afraid to bloom. Your DNA demands it. CANCER: Whatever long distance trip, arrangement or relationship you have going in your life, set clear and precise intentions for the best results. The theme of the eclipse is expansion and new horizons. This can be literal or metaphorical. Both are of equal value. The important thing to note is that your world is about to get bigger in wonderful ways. LEO: This is a time to keep a secret and contain a project all while meeting someone eye to eye. Your spell is meant to brew in the darkness. A desire is going to go big very soon and right now you need to incubate like a smart mother hen. All this in the midst of intimacy and the need to connect with a deep and penetrating truth. Change will have lasting effects. Embrace. VIRGO: Pisces solar eclipse is in your relationship sector giving you a guardian angel when it comes to business or romantic commitments. (Possibly a Tough Love Angel, but guardian none the less.) There is a magical feeling in the air and you can use this rosy glow to tell a new story when it comes to your love life. Suddenly you are seeing others in their true, spiritual light. Let the love light shine! LIBRA: The eclipse in your house of health and well being is perfect for setting intentions about the strength of your body, your power to express your will and the ways and means you accomplish what you want in life – from working for a living to deliberate creation. Feel the energy around you. Tun in and wield your magic. It’s never been stronger than this. SCORPIO: Creativity, romance and wide-eyed enthusiasm well up from your heart making the Pisces eclipse one to remember. Put your attention on what makes your feel special, artistic, open and sharing. Commit to it! Identify the ingredient that it takes to ‘make’ your day. There is more where than came from. Don’t be afraid to use it. SAGITTARIUS: Attention on your home, family and domestic affairs makes this new moon perfect for starting any repair or maintenance projects, but more than that, it’s a time to notice where you are expanding on an inner level. There is travel a foot. Doors open when you say ‘yes’ BEFORE the question is asked. Ease your grip on any preconceived ideas of how things ‘ought’ to be. CAPRICORN: What is it you want to teach, learn, study or research? Something powerful is stirring along with the opportunity to get involved in a hands on way. It’s not only about reaching for personal goals. It’s about connecting to deeper spiritual links as well. Identify the direction you want to go and settle for nothing less. Communicate, at all cost. AQUARIUS: It’s not always easy to change horses in the middle of the stream but if there is a sudden desire for course corrections, do not hesitate under the eclipse. This super charged new moon boosts your ability to sense true values and change up where it’s most useful. The true secret to a happy life is living authentically. Check in, listen and know. It’s what you do best. PISCES: The solar eclipse in Pisces is a special time of year where you can feel more connected, more tapped in, more alive! From there you have the ability to add richer meaning to your life. There might be a bit of a dreamy quality to how you see yourself, and choices seem to be more glamorous than practical. Let your heart be the guide. Set intentions from your core; let your qi energy flow. Happy Solar Return! Want to learn more about astrology and the law of attraction? 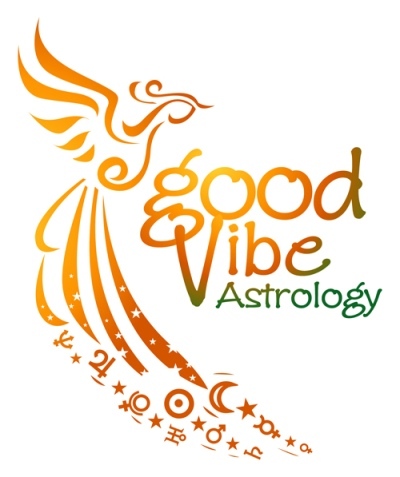 Drop by Good Vibe Astrology, sign up for the GVA Circle calls, tips, tutorials, forum discussions, emails and loads of hands on practice. See you there!